Polished concrete differs from the various aggregate surfaces in that it is a poured concrete slab with no decorative materials. It is the treatment after the concrete has set that separates a gleaming polished floor from a dull and lifeless concrete surface. Once the concrete has hardened, our professionals begin grinding its surface layers. (This could be compared to an exfoliation procedure.) To do this, we use electric grinding machines outfitted with diamond grinding discs. Initially, the discs we use have a very coarse grain, but as the six to eight step process continues, the diamond grinding discs gradually become finer. Eventually, the concrete transforms into a brilliant high-gloss surface. If you prefer a satin finish instead of a high gloss look, we will work with you to customise your floors. 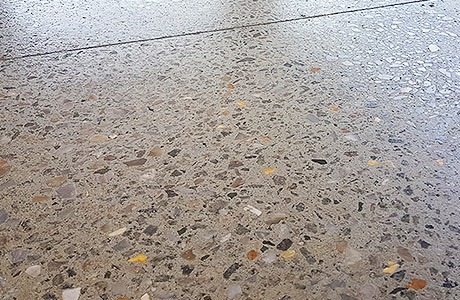 Our skilled technicians can use the polishing process on new or existing concrete; allowing our customers a money saving way to dramatically improve the look of floors that are already in place. Polished concrete is exceptionally durable, and it is also environmentally friendly. During the polishing process, we use no chemicals or solvents, and the floors require no wax or sealants. Additionally, polishing creates only minimal amounts of waste. Our customers are consistently impressed with the results of the process, and the concrete retains its beauty over time in both home and industrial settings. 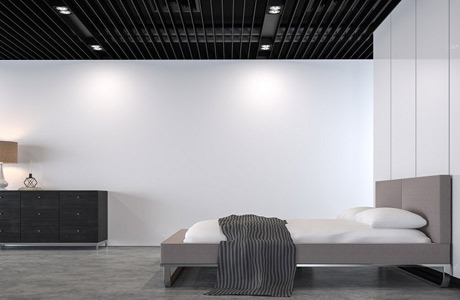 Polished concrete floors are well suited for home, office, hospital, or industrial settings. They are easy to maintain and do not need refinishing.